Atlanta native. Is there such a thing? As much as we joke about it, they do exist and I even know a few! 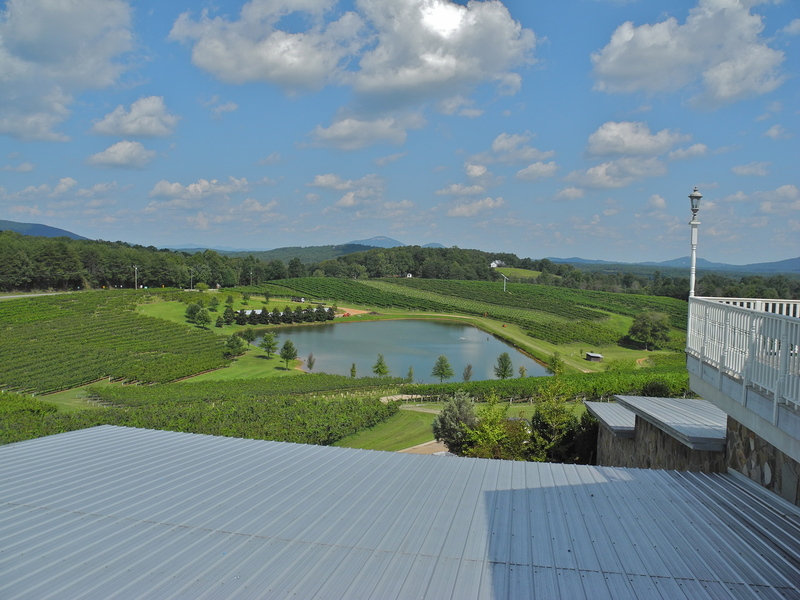 So you can imagine how surprised we’ve been to learn that most lifelong Atlantans aren’t even aware of the number or quality of wineries in Northern Georgia- most of them just one hour or so outside of Atlanta metro. We had the pleasure of first discovering this area and the wines made there back in 2006 when we went for a weekend escape from the city. It was before kids, and in hindsight scheduling a whole weekend of fun was less work and much less expensive than it is now. We went back the following year, again for a weekend, this time for a babymoon, as I was expecting our first son. 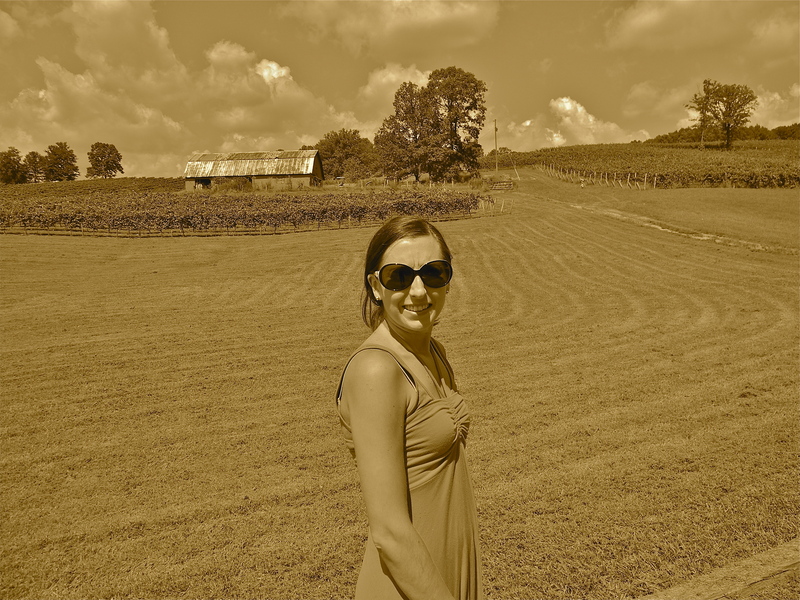 The experiences were totally different in terms of lodging and activity, but this area of the state, in and around Dahlonega, didn’t disappoint back then and hasn’t the half dozen or so times we’ve been since. Most recently, we spent a Friday-Saturday in the area. 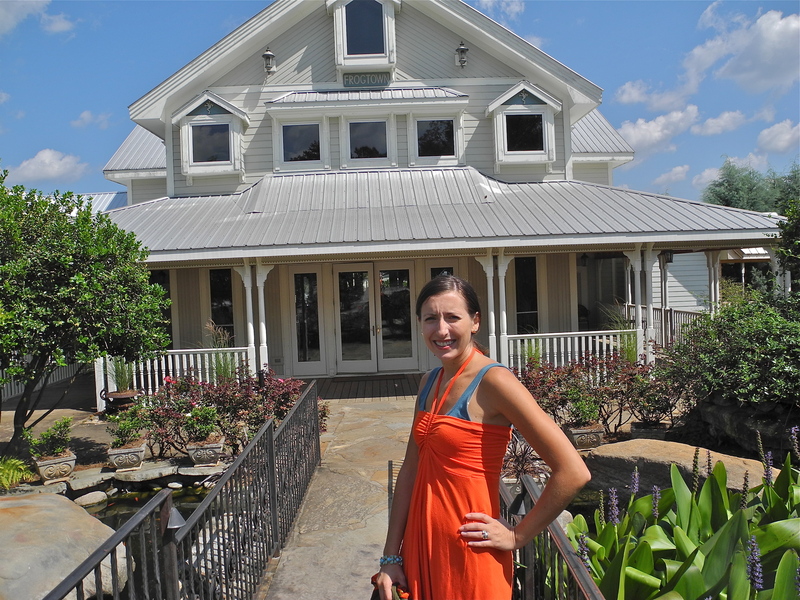 Friday we enjoyed an afternoon of tastings at our three favorite wineries. While we usually stop along the way, on this trip we didn’t leave Atlanta until 1pm and were anxious to get to as many wineries as possible because all but one of them closes at 5pm. So it was straight up 400 and directly through Dahlonega and into the mountains we went. 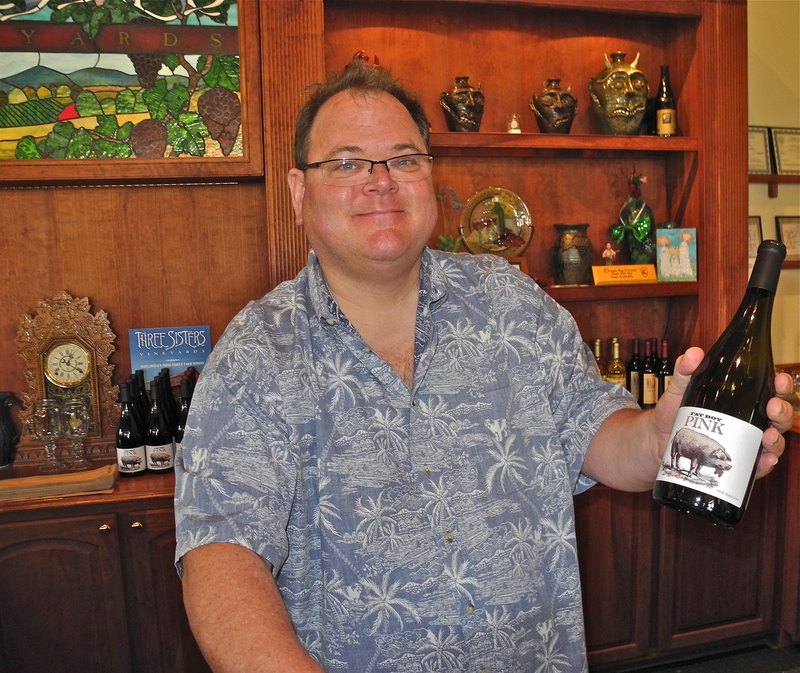 Our first destination was Three Sisters Vineyards, which is just down the hill from Frogtown Cellars, which we had already decided would be our second stop. The Three Sisters property adjacent to the parking lot. 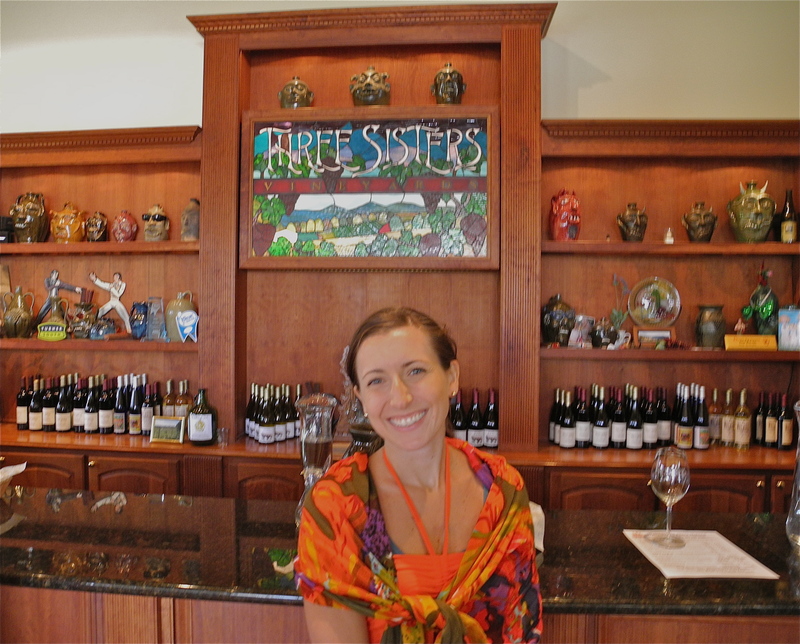 Three Sisters is a small, family owned and operated vineyard, featuring wines that are made only from grapes grown in their vineyard. Sharon and Doug Paul pride themselves on this fact. 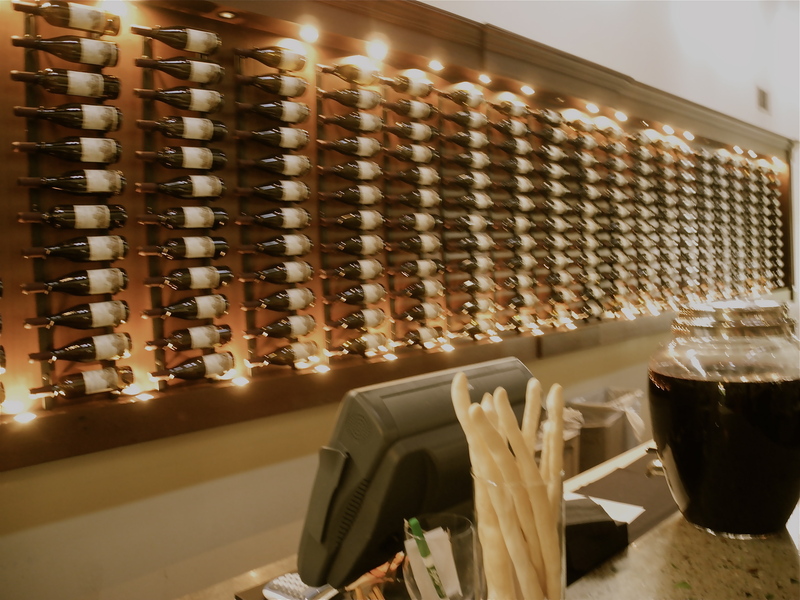 This particular winery has a fairly small but attractive tasting room where they offer very personal attention and a small cooler of snacks like cheese and crackers to complement the wine. 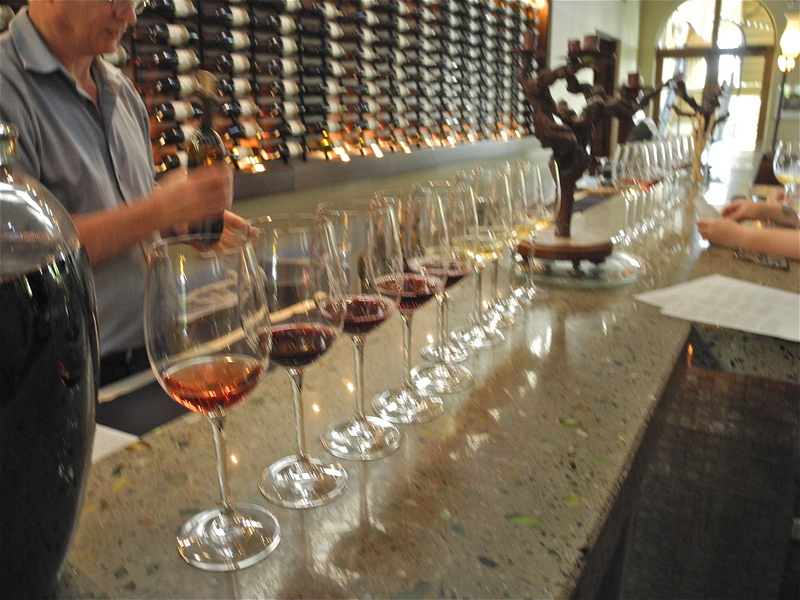 You can choose a a variety of tastings, some which include a keepsake glass and others which are less expensive (sans glass), and can be mixed and matched to your preferences. 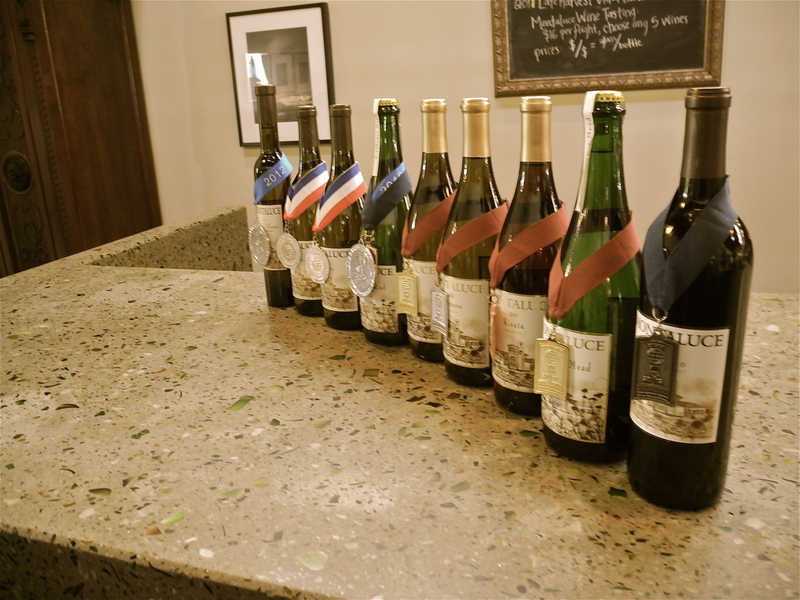 We had the pleasure of having Doug serve us our tasting, and enjoyed a variety of white and red wines, as well as the newest “baby” at Three Sisters, Fat Boy Pink, which they fondly refer to as Red’s little brother. While we enjoy several of the Three Sister’s wines, my husband and I both decided that Pink is our new fave, probably due to both the flavor and uniqueness of this blend, which by the way is nothing like White Zinfandel, save for the color. Doug shows off the new Fat Boy Pink! Be sure to follow Three Sisters on Facebook and Twitter to stay up to date on new wines, sales, and especially events like their recent BBQ. 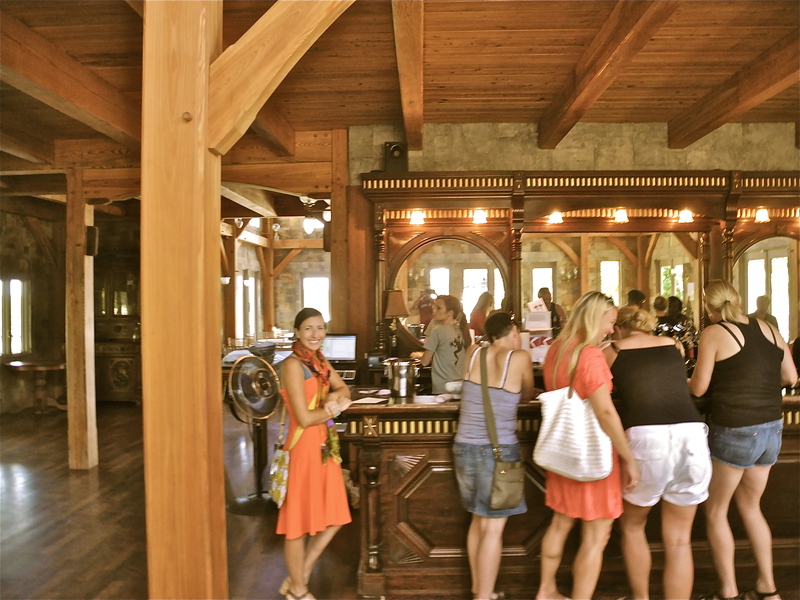 Three Sisters is definitely on our short list of wineries to visit when you venture North. Thanks to Doug and the staff there for welcoming us! We look forward to seeing you again soon. A short drive (basically just up a 1/2 mile long gravel driveway) towards the main road from Three Sisters lands you at Frogtown Cellars. Frogtown sits atop the hill, with breathtaking views and a lovely indoor and outdoor space that seem to be a desired wedding and event venue nearly every weekend of the year. This small bridge over a koi pond connects the main building with the parking area. 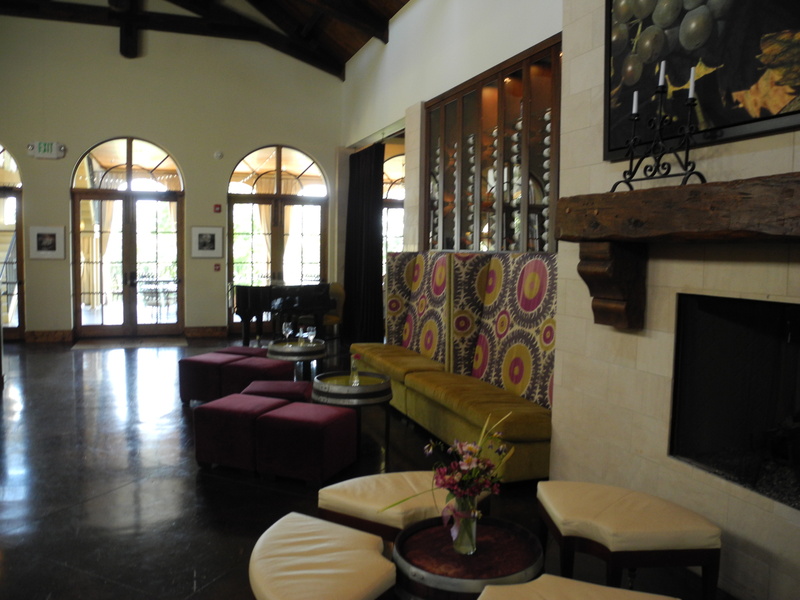 The left side of the tasting bar gives you a glimpse of the contemporary, yet rustic, feel of the building. Three of the four women pictured were visiting from Iceland! “Atlanta Dad” poses for a photo on the other side of the bar. I had taken a girl’s trip to the area last December on a rainy Friday. 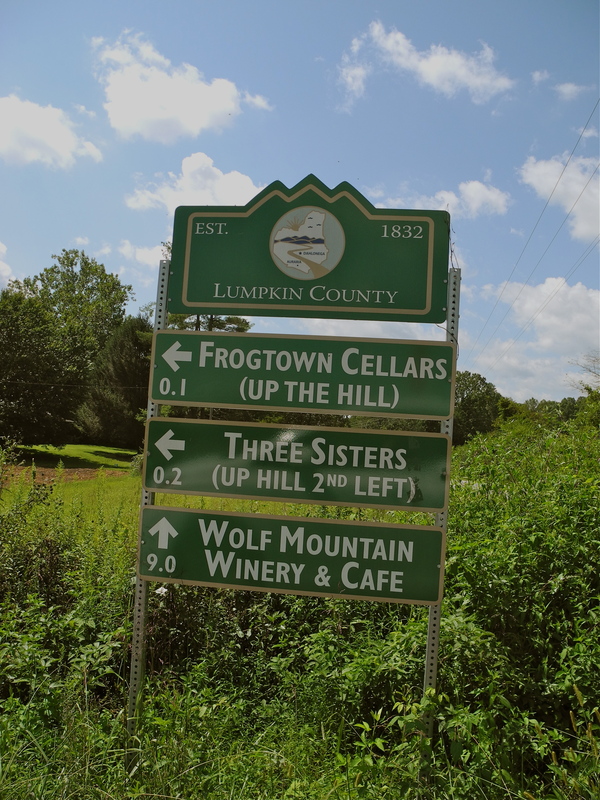 We arrived at Frogtown around 4pm, and though we knew we would be limited in our time, we weren’t disappointed that we had chosen this winery as our one and only stop. The vintner there, Craig, offered us a private tasting and stayed open nearly one hour late to accommodate all the questions my two girlfriends and I posed to him. 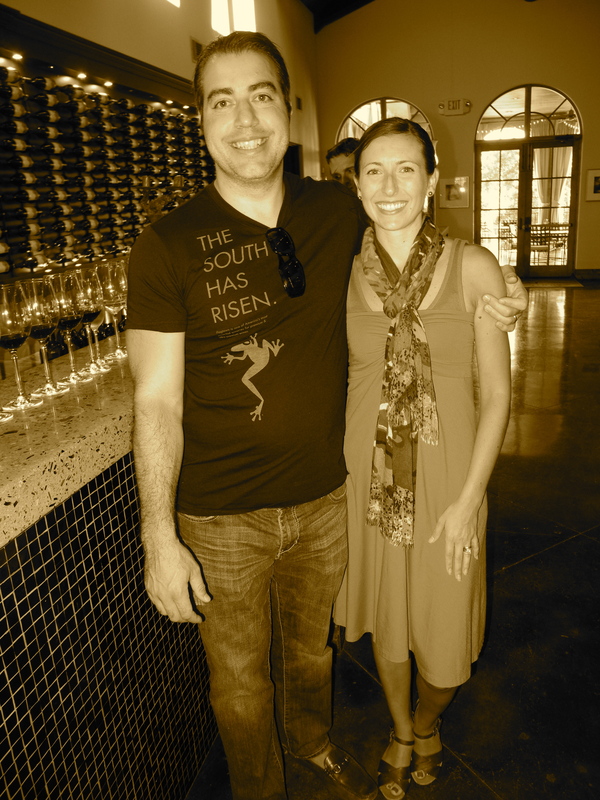 He was a wonderful host and we enjoyed the wines so much we decided to become Frogtown “Citizens”. 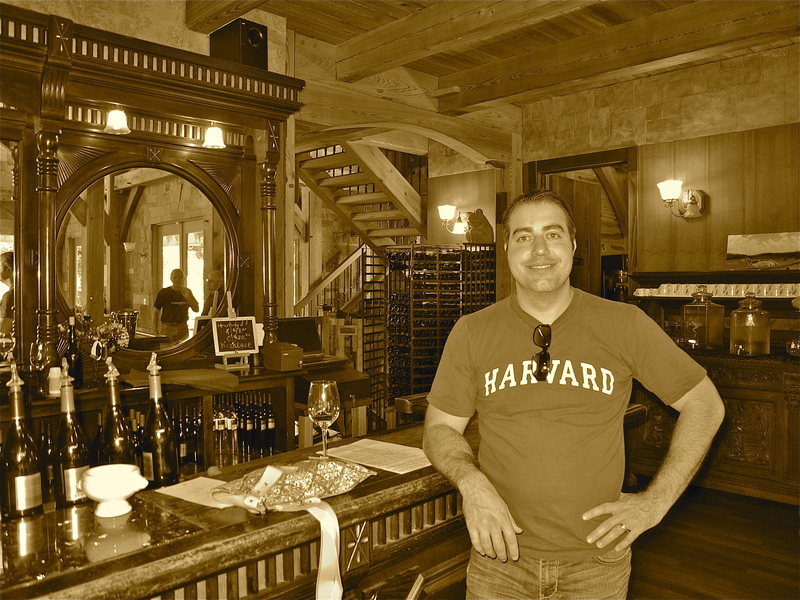 In addition to receiving 3 bottles of wine (with a lengthy letter from Craig that he calls the “vintner’s notes” for each choice), you also receive free tastings and discounts on merchandise as a Citizen. My husband and I enjoyed the tasting while we chatted a bit and then moved outside when our meal arrived. We decided to share a sandwich mid-afternoon so that we could keep on tasting “safely”. As simple and gorgeous as the inside of Frogtown is (which is why they are booked up for weddings and events nearly every day), the view outside is priceless. We were blessed with a beautiful day this time, apparent in the almost painting-like clouds in the below photo. 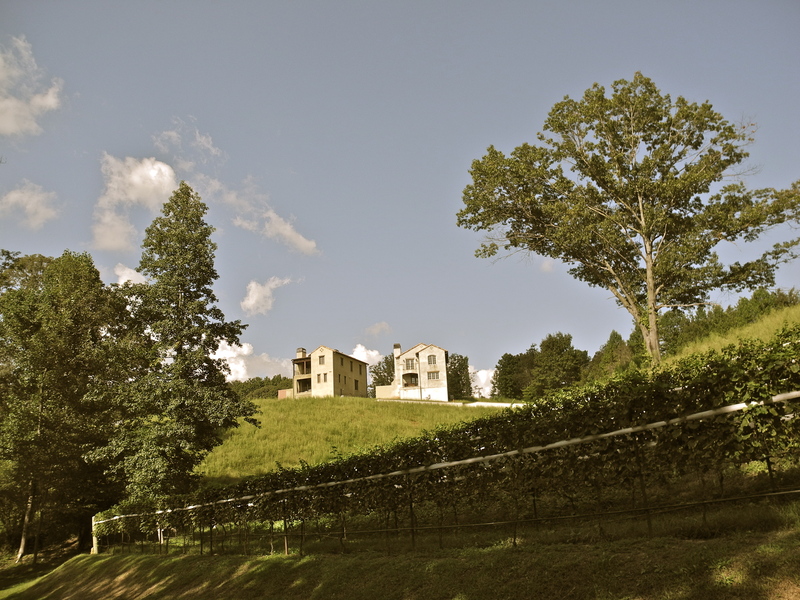 Part of the Frogtown vineyards, as seen from the patio area. 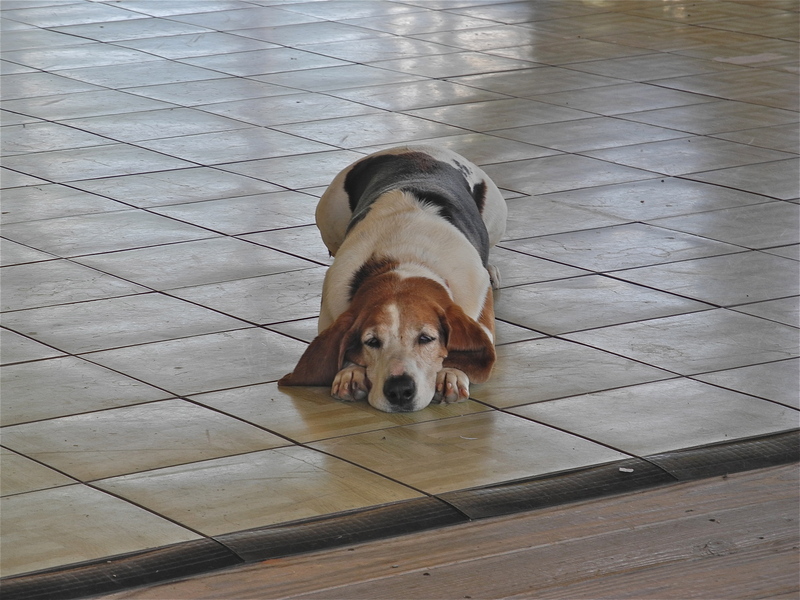 I couldn’t not include a photo of this guy (one of three four-legged friends who live at Frogtown). 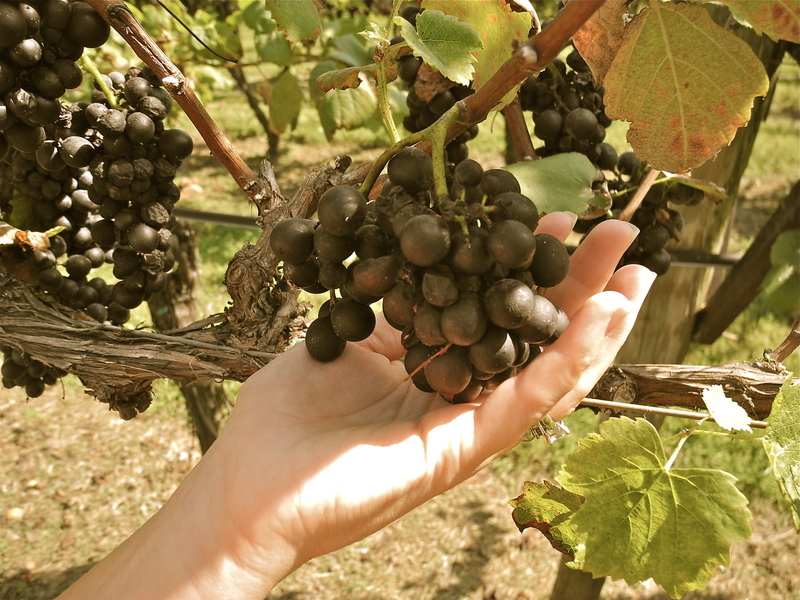 It’s harvest time in Dahlonega and you can see how ready these grapes are to be picked! After purchasing a t-shirt for my hubby and a few gifts (early holiday shopping), we headed across the mountain, through the town square of Dahlonega to our last vineyard destination of the day. Monteluce is a winery and restaurant we discovered most recently when we went on a horse-backing riding date. Talk about a hidden gem! We hadn’t even heard of it until 2011, but it turns out it has quickly become one of our favorites! It is well worth the drive (of nearly 20 miles from the Frogtown and Three Sisters area), which is scenic and enjoyable. 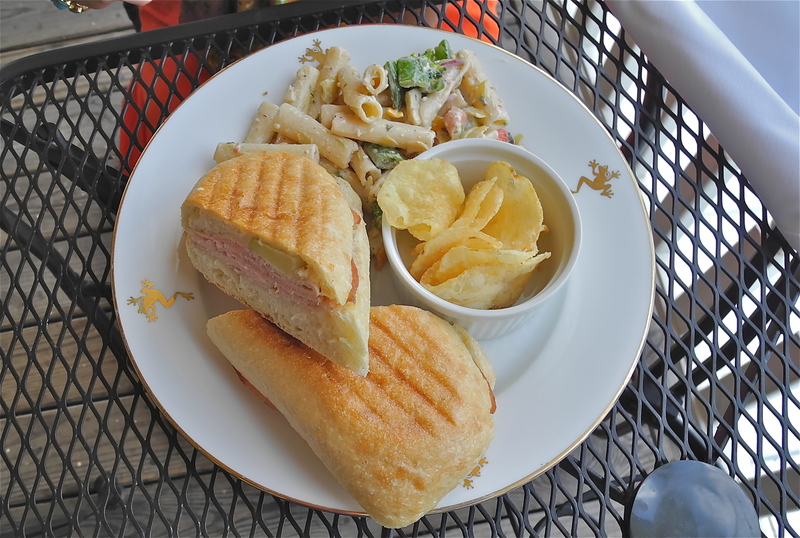 Monteluce was the inspiration of a family who traveled Tuscany, Italy extensively and fell in love with the aesthetics of that area of the world. 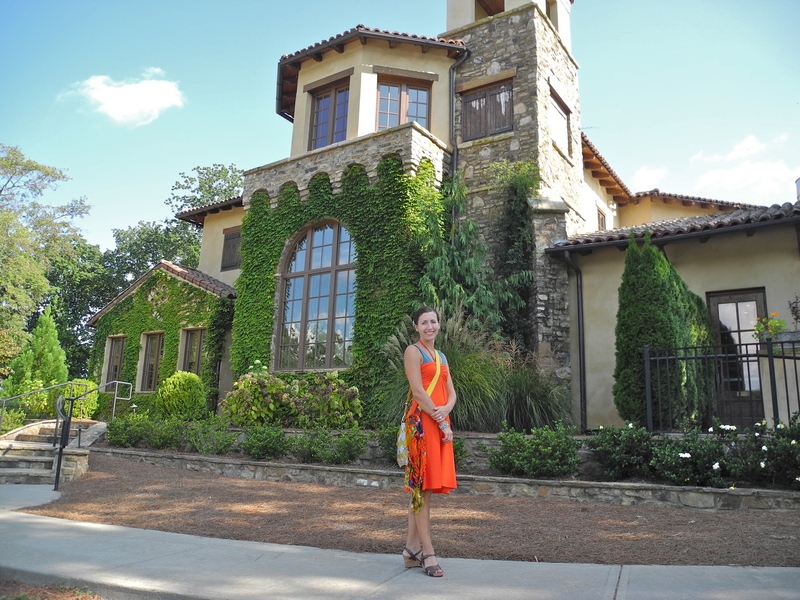 They decided to bring that Tuscan feel to Georgia and this Italian family doesn’t disagree that they have done that quite well! It is easy, when you are in the valley area of Monteluce, looking up at the Villas, the restaurant and winery and the mountains and hills surrounding you to forget that you aren’t in Europe at all. 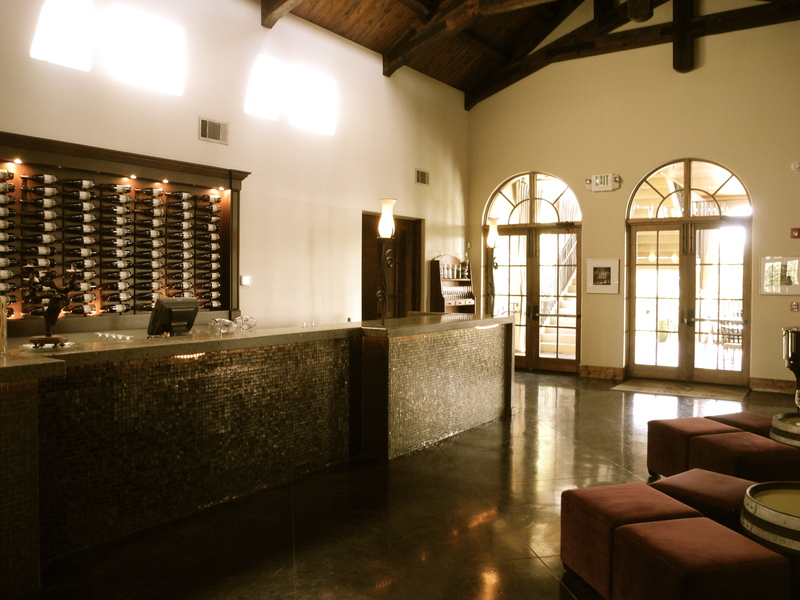 A view of the front of the winery and restaurant. While this tasting was more “hands-off” in service, the pouring of all of our wines at once allowed us to drink at our own pace. 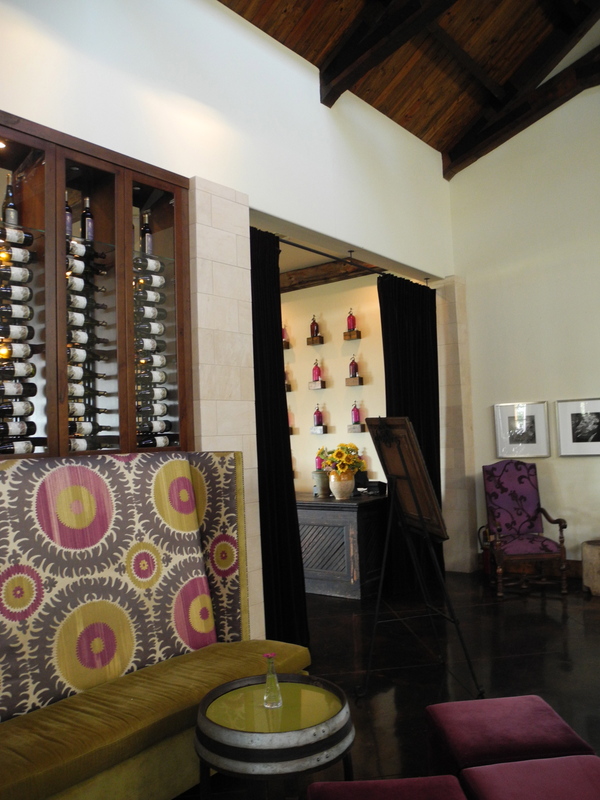 I love the decor at Monteluce! Atlanta Mom and Dad pose for a rare photo together! Monteluce, like many of the wineries in this region, has been awarded with medals from a variety of wine competitions. North Georgia is well worth a visit, no matter where you live, but living in Atlanta offers us access to this Georgia Gem every single day! 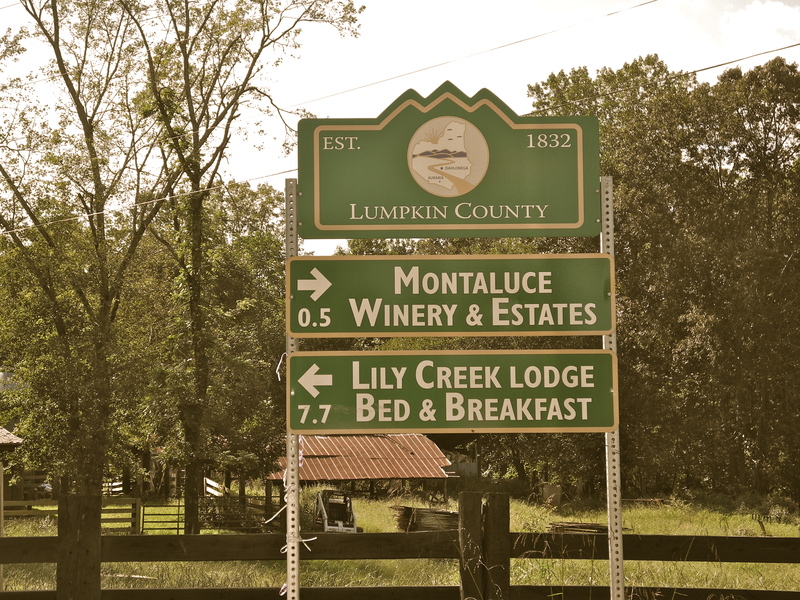 We hope you’ll visit one of these or the many other wineries and attractions of the Dahlonega area and then share your experience with us! Cheers!